A fully-funded PhD fellowship in reproductive health is available at Monash University. Successful candidate will have funding to work and study for 12 months in Australia. Candidates are welcome before November 19, 2018. A collaborative program of research into the Molecular Pathogenesis of Male Reproductive Disorders is being undertaken by scientists, clinicians and students at both Monash University, Australia, and Justus Liebig University, Germany. This joint research is funded as an International Research Training Group (IRTG) by the German Government (DFG, German Research Foundation), with support from Monash University. The program draws together a large team of international experts in male reproductive medicine to focus on a bench-to-bedside approach to diagnose and treat men's reproductive health disorders. The focus is on innovative research that will drive discovery of new therapies for the diagnosis and treatment of male infertility, testicular and prostate cancers and inflammatory disorders of the male reproductive tract. Teams of researchers and postgraduate students work on projects tackling different aspects of male reproductive health issues. These teams consist of experts in testis, epididymal and prostate biology, epigenetics, immunology, cell biology, endocrinology and andrology. We are currently seeking applications for PhD students to enrol into the IRTG program at Monash University. Students will work on collaborative projects and are co-supervised by researchers in both universities. 2 projects on the regulation of contractility in the healthy and diseased prostate at the Monash Institute of Pharmaceutical Sciences, Parkville. Regular meetings with students and supervisor teams are held by video conferencing. Students attend specialised training activities designed to strengthen their knowledge and skills in male reproductive health research. These include lectures, workshops and round table discussions with health experts, visits to technology facilities and training in science communication. Students receive a living scholarship, support to travel to relevant conferences and milestone meetings. Students are also expected to spend time at JLU in Germany (travel expenses supported). The amount of time spent at the partner university depends on the project and is negotiable. 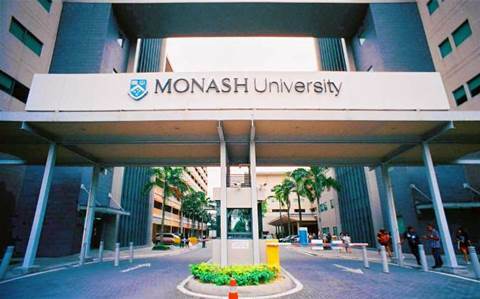 If a student spends more than 12 months at JLU and satisfies other criteria, they may be awarded a joint PhD from both Monash University and JLU.